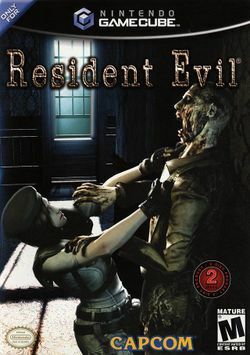 Released in 2002, Resident Evil was remade for the GameCube following Nintendo's exclusive deal with Capcom for releasing the future Resident Evil games on their system. This installment is completely different from its original counter-part, with Shinji Mikami (the executive producer, director, and creator of the Resident Evil series), stating that the remake is "70% different from the original". REmake is known for its near photo-realistic environments (all of which were pre-rendered, like the original), impressive three-dimensional graphics, new animations, and noteworthy sound. On top of this, REmake uses features found in later Resident Evil games, such as the use of body language to indicate damage (from Resident Evil 2) and the quick turn (used in Resident Evil 3: Nemesis), a long with a new running style (the same animations would later be used in Resident Evil Zero and Resident Evil 4). Several changes have been made to the areas found in the game, such as the extension of the Mansion, and an all-new graveyard and cabin found in the Courtyard. FMV cutscenes in the original have been replaced with CG versions, and new voice actors along with a new script were also used. New puzzles, new enemies, and new weapons have also been added to the game, adding a new depth and larger challenge. The main storyline remains unchanged from the original, only adding a couple of new surprises and a larger explanation onto what was going on in the story at the time. In REmake, you play as either Jill Valentine or Chris Redfield, who both play very differently from one another. This page was last edited on 8 June 2015, at 15:16.